Thanks to the kind people at Zeitghost Media and MacMillan Children's Publishing Group, I have a great giveaway for you! 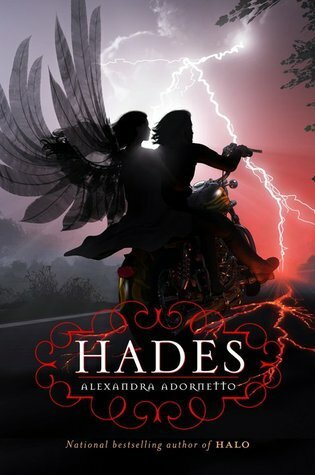 Alexandra Adornetto's highly anticipated sequel to Halo, aptly titled Hades, is being offered up to one lucky winner. Huzzah! Alexandra will actually be on tour this Fall, and you can find the dates and places she will be at THIS LINK. If you're a fan, make sure you check it out! To enter the giveaway, FILL OUT THIS FORM. You must have a U.S. or Canada mailing address to enter. Giveaway ends September 11, 2011.